70% of the earth’s oxygen comes from the seas. The extinction and endangerment of marine species is taking place at a massive rate due to habitat loss, ocean acidification, atmospheric change, pollution and most consequentially, overfishing. 90% of all large fish have disappeared from the oceans since 1960 as a result of industrial fishing practices and the United Nations predicts that if current trends continue, global fish stocks will be extinct by the year 2048. 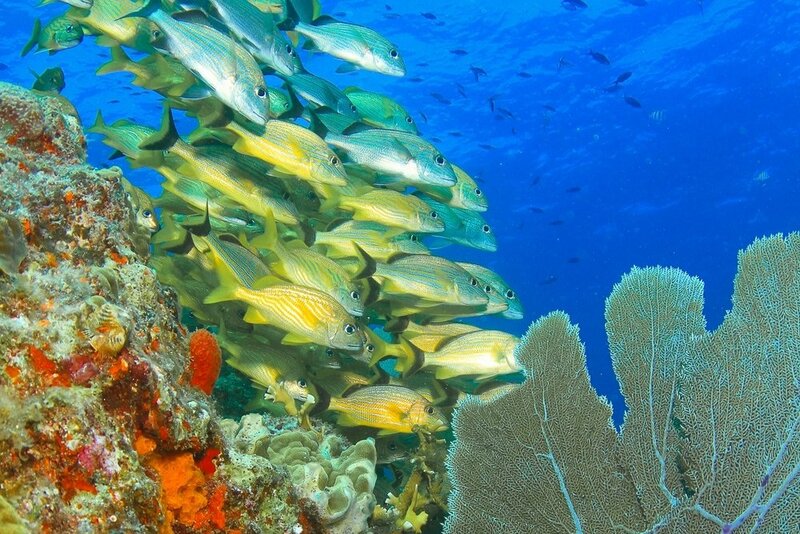 Due to the interdependencies between species, these activities challenge the stability of the entire ocean ecosystem. 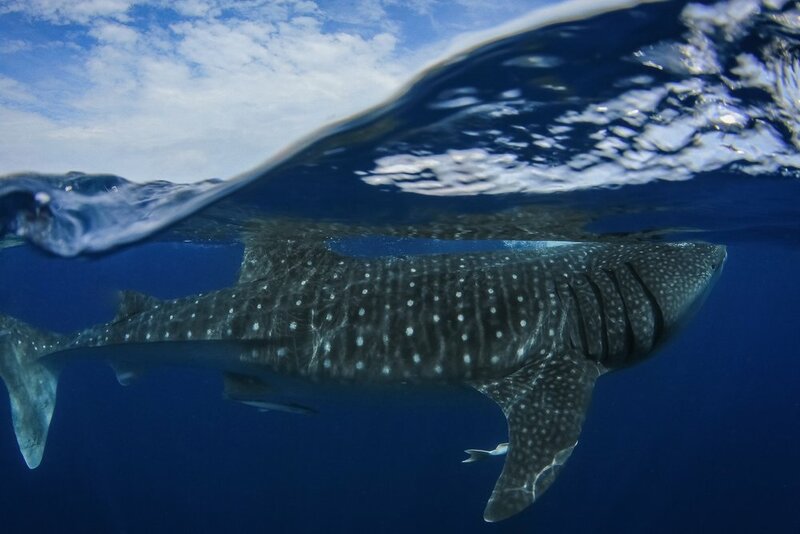 Sharks have occupied the top of the oceanic food chain for the last 450,000,000 years and have been pivotal in the evolution and balance of the ocean ecosystem. As shark populations become decimated by overfishing, destructive fishing practices, trophy hunting, habitat destruction, and shark finning, the populations of other species thrive, throwing the oceanic food web into a state of tumultuous upheaval. If we don’t change the trend, it is feared that sharks could possibly become extinct in the next 10-20 years, leaving us with an unbalanced ocean unable to rebuild itself. Plastic is not a material that our planet can breakdown yet almost every marine organism is contaminated by plastic, from microscopic plankton to whales. Plastic consumption leads to starvation, reproductive failure, and presence of toxic pollutants. The higher up the food chain a species is, the higher the amount of pollutants it will have due to its consumption of other polluted species. Thus, we see that harmful chemicals leached by plastics are showing up in the bloodstreams and tissues of humans, newborns and breast milk. Heightened temperatures not only destroy elements of the vital oceanic ecosystem, but also melt glacial masses that in turn causes sea levels to rise. It is predicted that sea levels will rise of 15 feet by the year 2100, displacing more than half of the world population in the process. Due to increased levels of CO2 emitted into the atmosphere, the oceans are growing increasingly acidic. 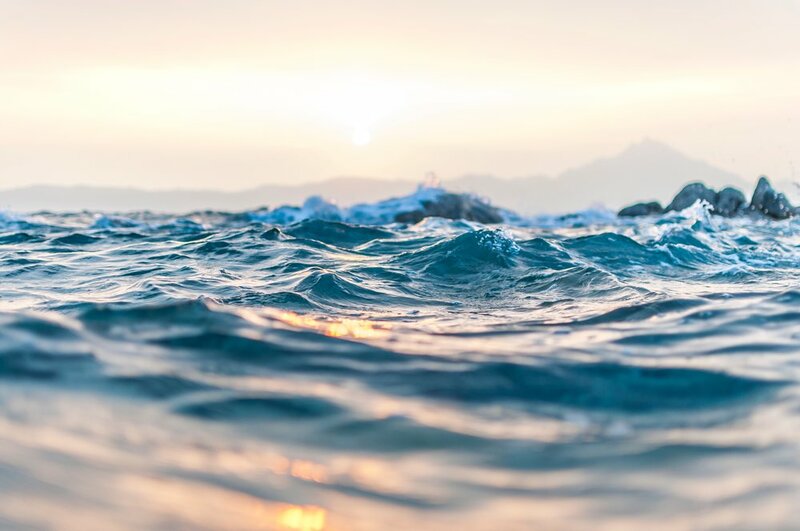 Elevated levels of CO2, acidification, and progressively warm temperatures affect the life cycles of many marine organisms, particularly those at the lower end of the food chain. For example, ocean acidification encourages the growth of harmful species such as turf algae, which in turn depletes kelp forests, one of the earth’s most valuable ecosystems.